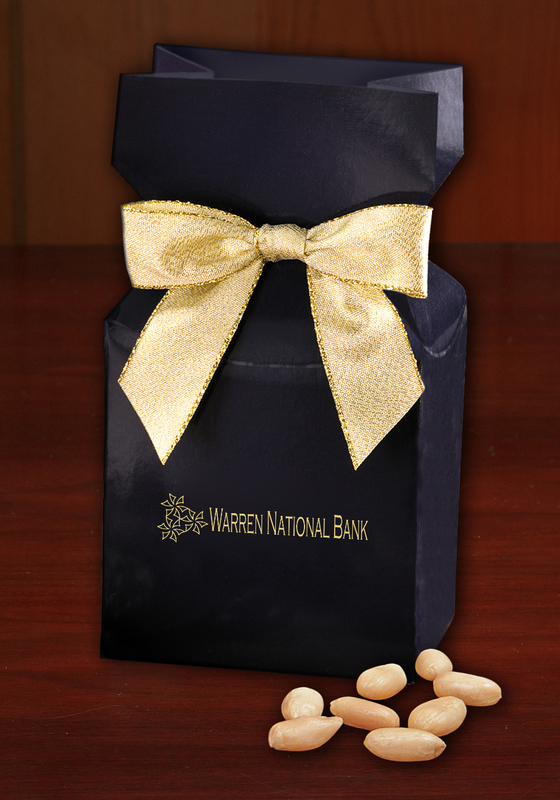 This dark navy blue gift box is the perfect solution when looking for a table favor or small thank you gift, especially for trade shows, meetings, or a holiday. Each box opens to reveal six-ounces of fresh roasted nuts. Virginia Peanuts are considered some of the finest nuts in the world. Your logo is foil-stamped in gold or silver on the front of the box, and includes a matching bow.